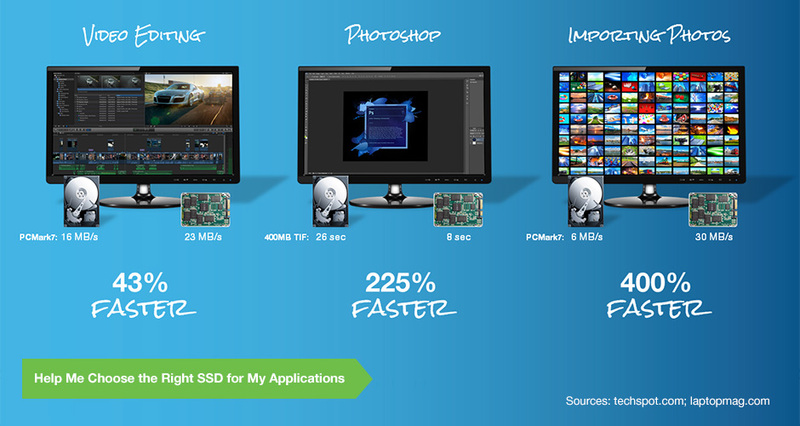 Solid state drives provide substantial benefits over traditional hard drives, and we make it easy to see why! 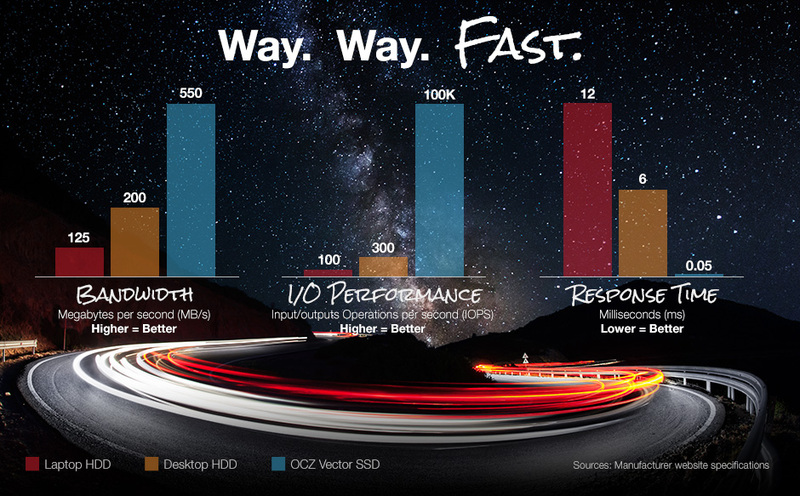 Whether you're refreshing an old laptop or trying to maximize the potential of the hosting, SSDs are the ultimate way to "feel" the difference in your everyday computing performance! 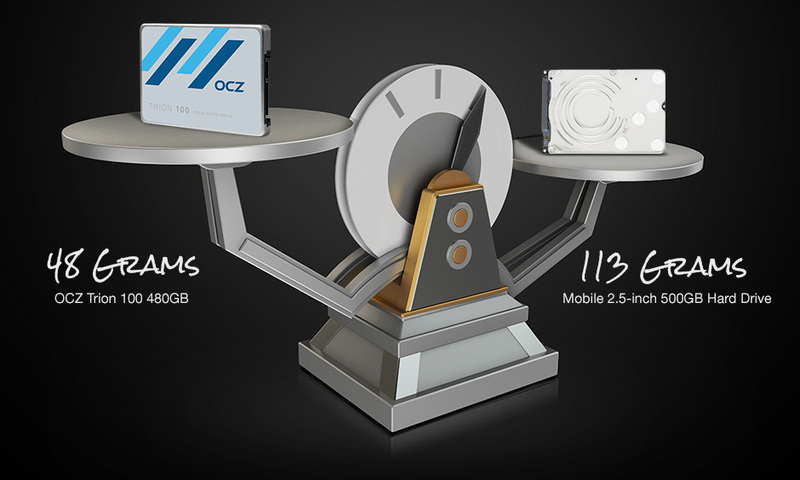 Still confused about all the hype surrounding SSDs? 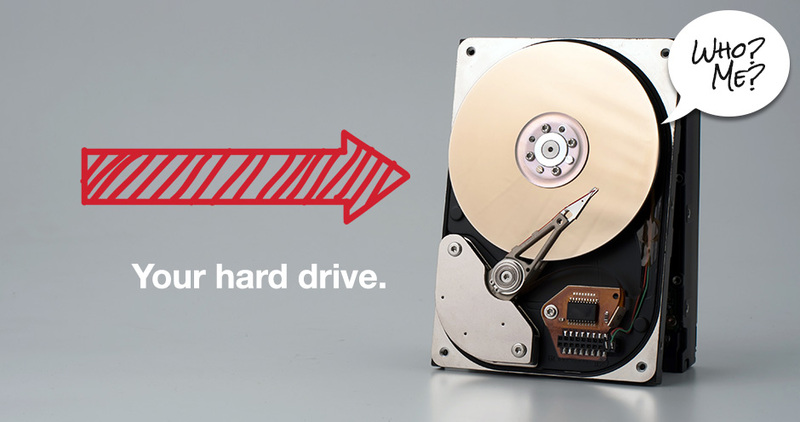 Consider upgrading to a solid state drive. 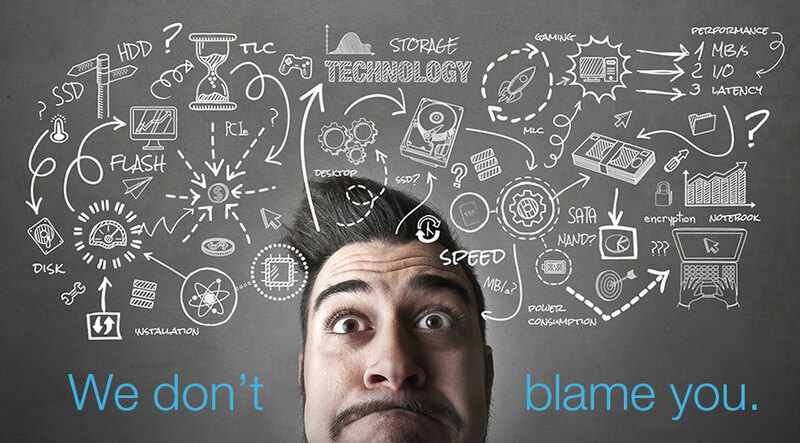 Wondering why SSDs are better than HDDs? 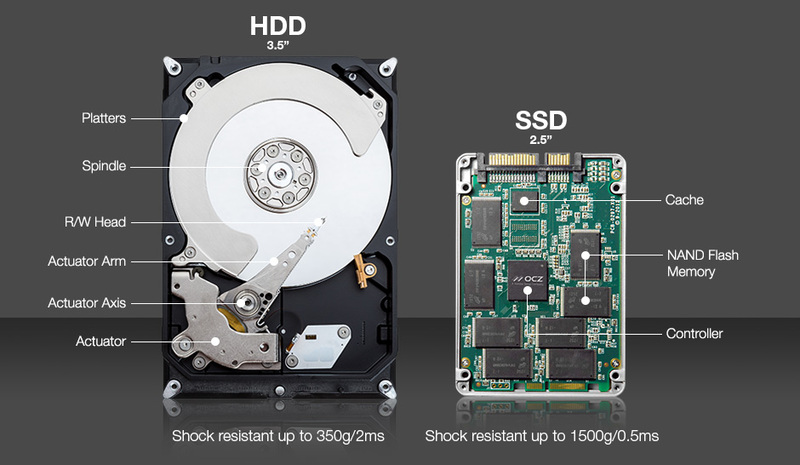 Hard drives consist of various moving parts making them susceptible to shock and damage, while SSDs use a non-mechanical design of NAND flash mounted on a circuit board and are shock resistant up to 1500g/0.5ms. 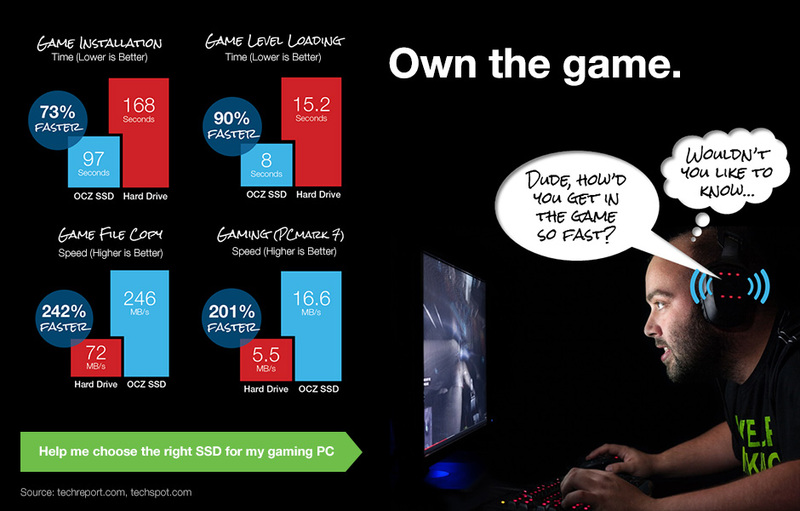 Which can lead to up to 30 more minutes of battery life for notebook users. 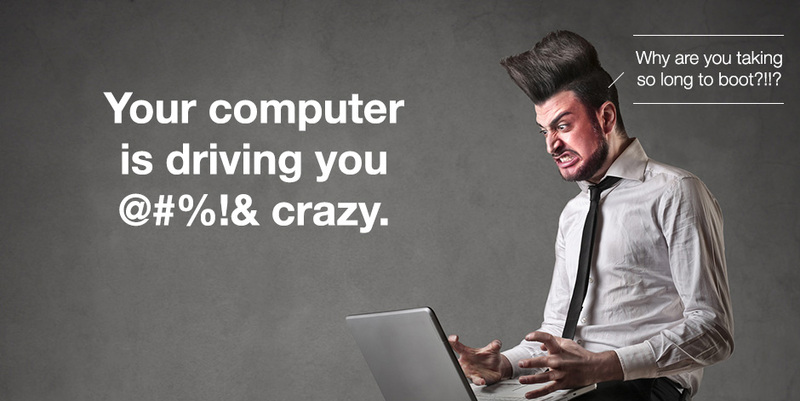 Thanks to no moving parts and completing tasks faster, SSDs run at cooler temperatures. Making mobile users who lug around their notebook happy.